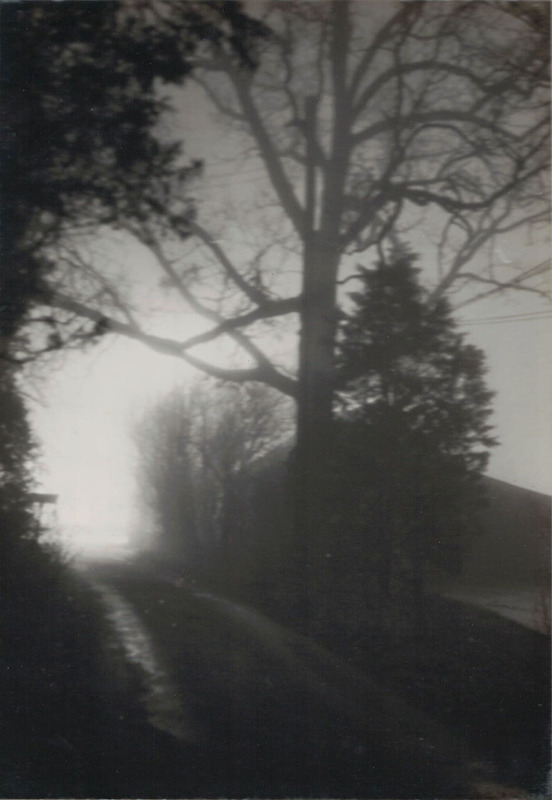 Thirty-year old photo of my driveway in the fog at night when I lived on Curtis Street in Lake Geneva. A silhouette of trees were visible against the night sky. I watched their actively swaying branches from my bedroom window. The house would sigh and creak and the windows rattled unceasingly. Tonight the spirits were active. I felt energized and ion-charged. I was swept in my imagination to a grassy knoll, feeling the wind untie my hair. Anticipation, mixed with a strange sense of foreboding, excited me and sharpened my senses. This entry was posted in Jasmine & Role Playing Games, The Creative Process and tagged darlene, foggy pathway, Lake Geneva, moody photo on January 31, 2018 by Darlene. Of course, it belongs. Nature spirits or sprites carrying you to the place they willed in a way that kept you from being afraid of them. What a wonderful adventure to have at that age. You could ask for more but you probably wouldn’t get it.